Security issues have made significant changes in airline travel. What used to be a trip of a few hours has ballooned to half a day or more when security is factored in. 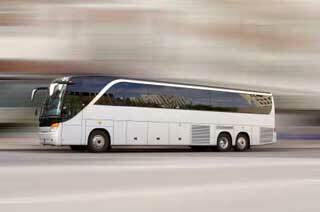 As a result, charter limousine service is becoming a popular option for many travelers. If you absolutely, positively have to get to your destination and don’t want to rely on airlines, let A-National Limousine drive you in safety and luxury. Along the way, you can relax and enjoy many amenities, or you can work remotely in your mobile office. Charter limousine service costs can be competitive with last-minute airline reservations. Factor in extra charges for bags and other airline fees, and our sedan services may be the best deal going. A-National Limousine maintains a clean, well-maintained fleet of town cars, Mercedes Benz Sedans, SUVs, stretched SUVs, limousines, vans, minibuses and motor coaches to accommodate groups of almost any size in luxury, safety and comfort. Call 404.762.3007 (800.533.4859 toll free) to speak to our point to point limousine service specialists.